Red. Red. An occasional green. Again red. I was staring at the Traffic Signal I agree. But it wasn’t because I didn’t want to see her. Heaven knows I did! I was just scared that if I watched her for too long I might not take my eyes off. She came. Travelling a 100 kms, she came. I had an intuition she would. Somewhere deep inside I knew. And she did! Just to meet me. The Traffic Signal was red. The cars lined up near us. We stood on the footpath, barely meters away from all these confusion. Cars honking, people shouting… It was a complete mess. She stood right beside me. Looking me square in the eye. And I was again staring at the signal. Red. I knew she was looking. She was even waving her hands as if to snap me out of a dream. Only that she had no idea, she “was” the dream. That’s exactly what was piercing me inside. I had so wanted to see her. The thing that I so badly wanted to happen for the past 2-3 days was finally happening and I stood there like a fool. 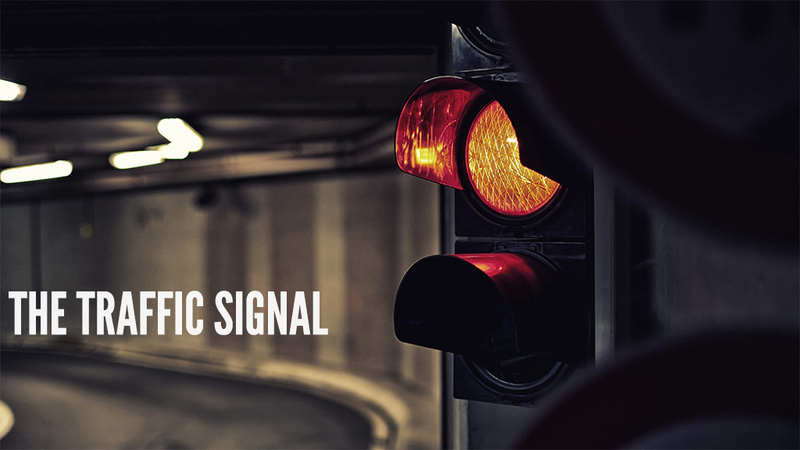 Staring at the signal. With an occasional dialogue I would look at her. Talk face to face for some time, and then again go back to the signal. That’s it. Her eyes. That’s what was troubling me. It wasn’t the usual look she was giving. It wasn’t the usual stare. A couple of two wheelers rocketed through the footpath. The dust increased and we moved further inside, away from the initial dust-storm. I again looked at her. Yes. Definitely. Its her eyes. They had the look I had never seen before. Something different. Something good. How I wish time would stop for a minute. I so wanted to know what her eyes conveyed. The cars were lining up further. I turned to her talking. Eye to eye. And that’s when I lost it. Every person experiences a certain magical moment at various points in their life. I had just been swept into one. Time slowed down. It seemed as if I could sense everything. From the sound of the breeze whistling through the leaves to the movement of her eyes. The wind throwing her hair over her face and she putting them back to place with an elegant swerve of her hands. I could sense it. I could sense it all. But the only thing I could see, was the depth of her eyes. Like a calm lake that appears so mature and conservative above, and yet hides its real beauty in its deepest trench. That’s how her eyes made me feel. Like I knew they had an answer. Only, I didn’t know what it was. I could have stood there the whole day gazing at the calm waters, trying to understand what lay in its depths. It was like a surreal calm that engulfed me. As if I was close to the answer. Close to her. It was time for her to go. We crossed the road to the other side. Waited for her bus. I again looked at her. Calm, composed and beautiful. I have always found her like that. Like an epitome of everything nice and wonderful. Like an epitome of everything the angels wanted to be. I have always found her being herself. Her bus came. She got in and sat near a window. I looked at her again. Still looking at me with that mysterious stare. Still not letting the sun rays penetrate the depth of the lake. The bus started moving. She waved. I wanted to, but couldn’t. Just smiled. Not because I had seen the beauty of the waters. But because of the belief that I knew there lay something beautiful. At times, its not the answer that brings happiness or joy. It’s the belief that there will be an answer. An answer that’ll not only put an end to the questions asked, but also pave the way for a million questions to be asked again. I started walking back. Along the road, with the dust flying round me. Some of them settling and others starting off on their path of uncertainty. I stopped and turned. Looking back at the traffic signal. Wanting to know whether it had changed. Whether it had decided to answer the questions it had been asked. Whether it had traversed the calm waters and finally immersed itself in the tranquility of the depths. Note : I had written this short story way back in 2011, away from the public eye. Just thought that no matter how silly it sounds, I shouldn’t be hiding it away anymore.